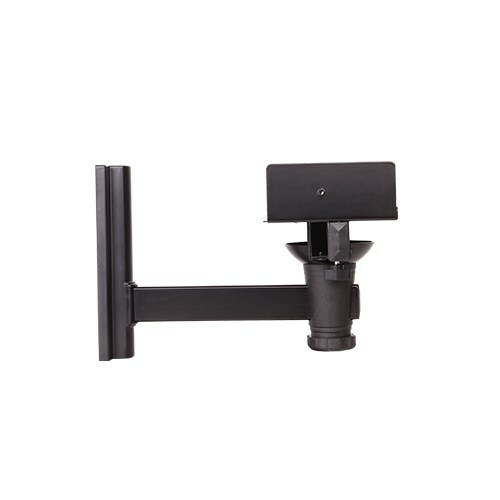 The SB-35 side clamping bookshelf speaker wall mount is designed for heavy bookshelf/HiFi speakers or powered monitor speakers that do not come with a standard mounting point by the manufacturer or have amplifiers on the back. 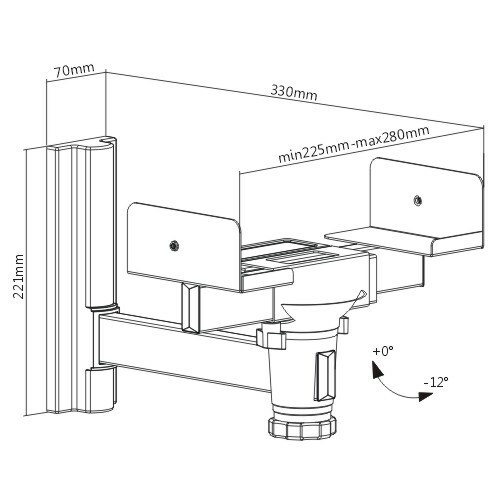 Up to 30kg/66lbs load capacity, the mount clamps speaker width form 230mm-300mm, offering 360° free revolving with adjusting knob and ±3°level adjustment. 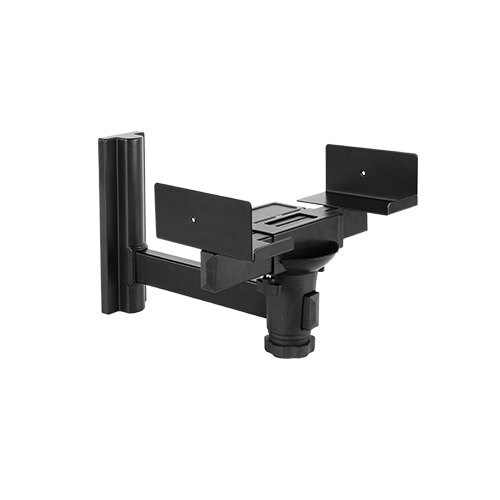 This speaker mount is ideal for mounting your professional bookshelf speakers in your home theater, sports bar, studio, etc.